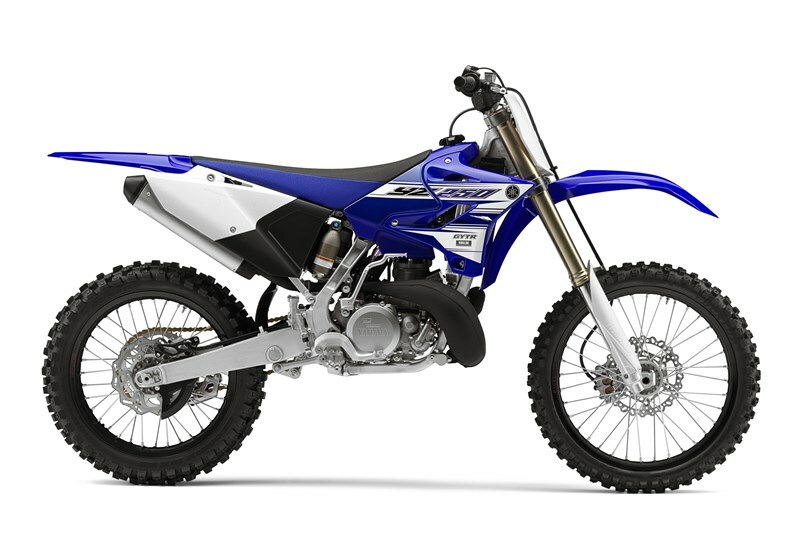 Modern, aggressive styling, including front fender, front number plate, radiator shrouds, side number plates, air box, rear fender, fork guards, as well as the rear brake disc protector, rear brake caliper protector and wider foot pegs – just like the 4 strokes. 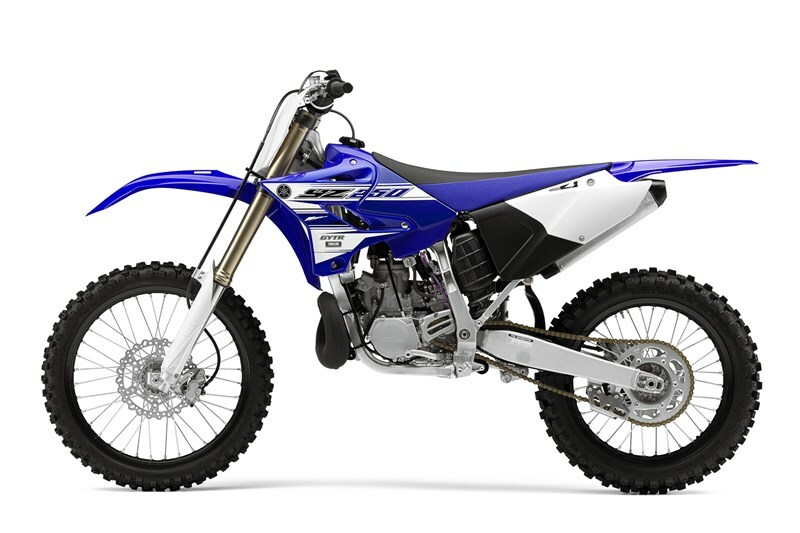 The YZ250 is ready to race out of the crate, complete with an aluminum handlebar, titanium foot pegs, gripper seat and Excel® rims. 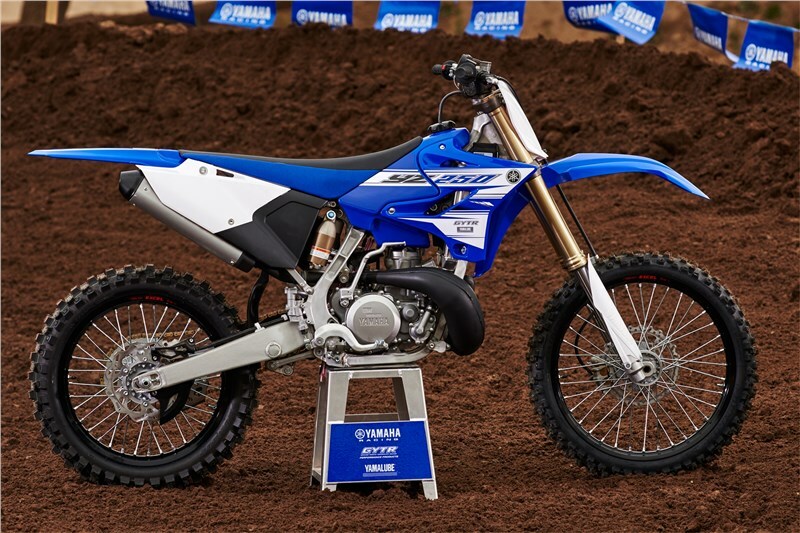 For 2016, the YZ250 features a new gold chain and black wheels, for that true factory style. 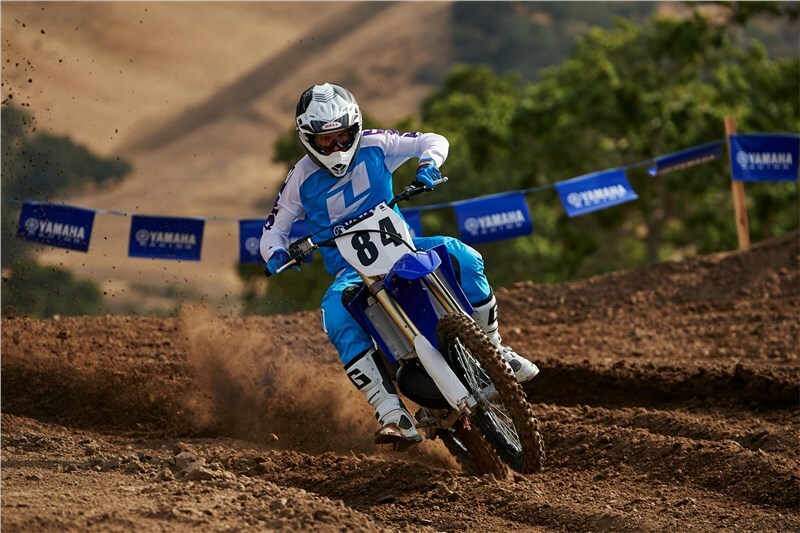 Trick, works-style clutch lever features race-spec barrel adjuster for on the fly adjustability. 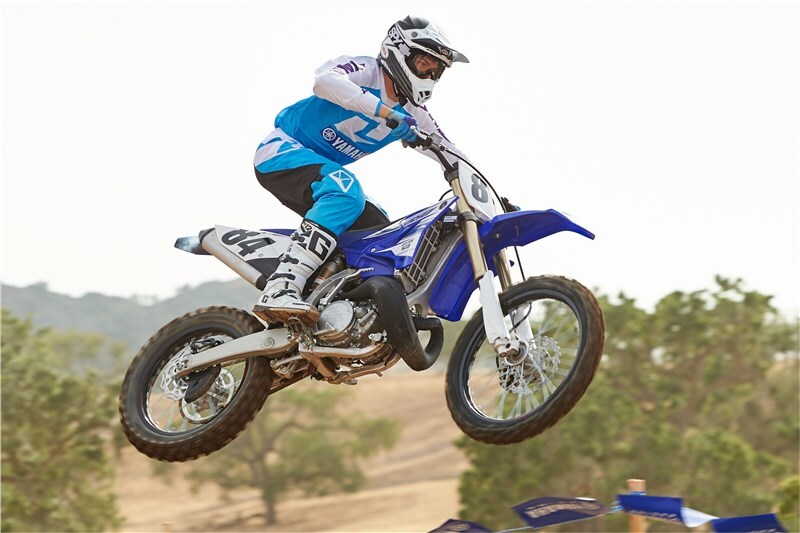 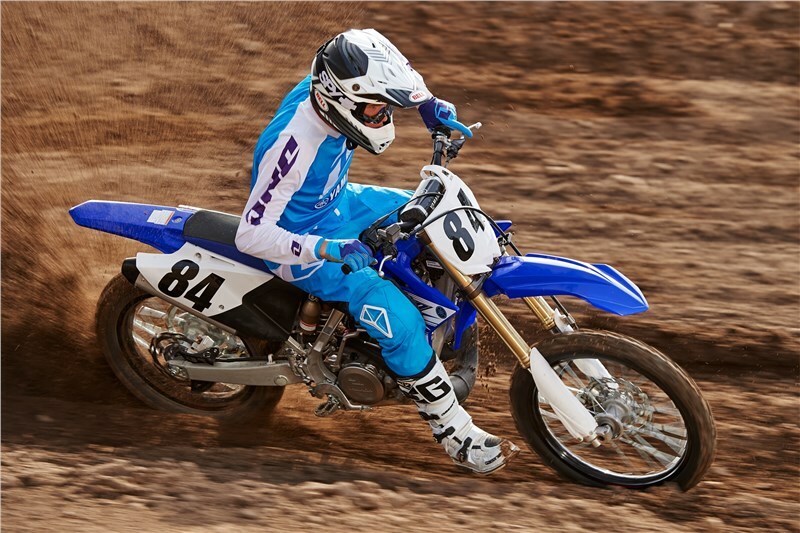 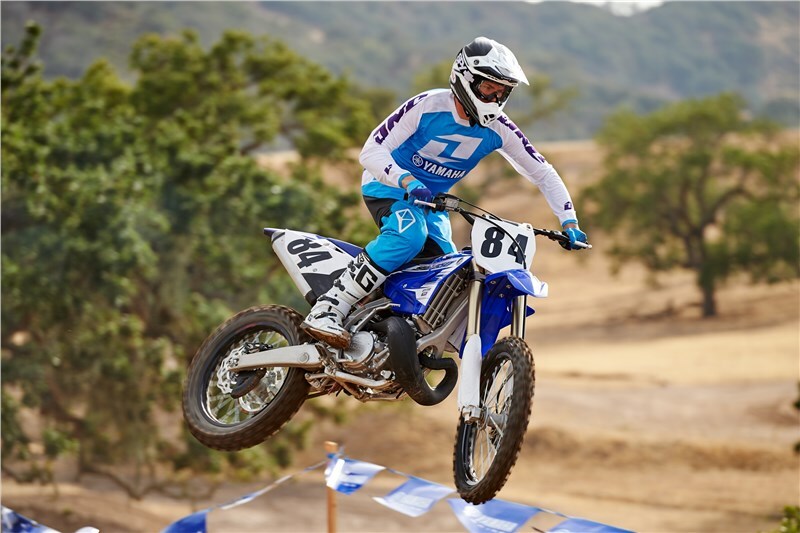 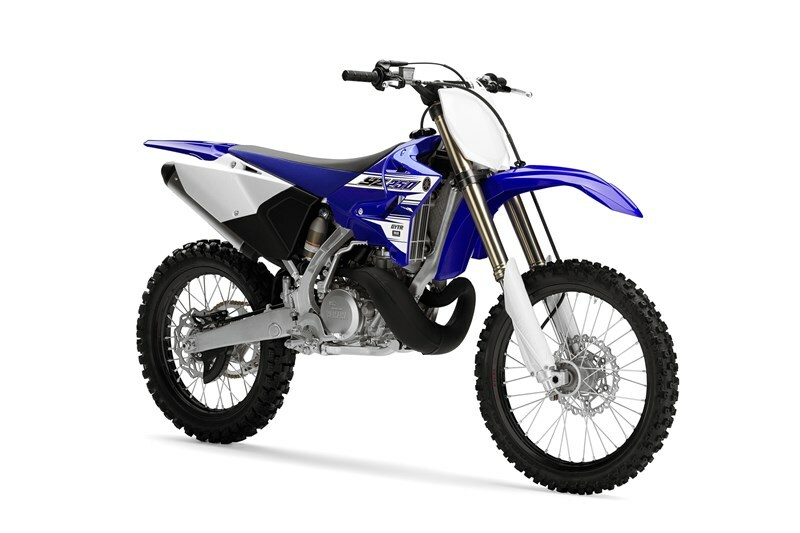 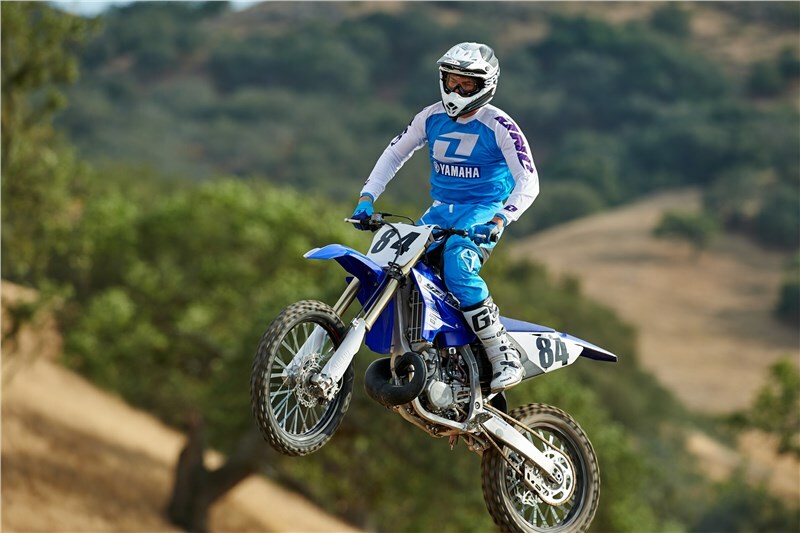 YZ250F-style front-brake caliper and wave-style front and rear discs minimize unsprung weight and provide excellent stopping power. 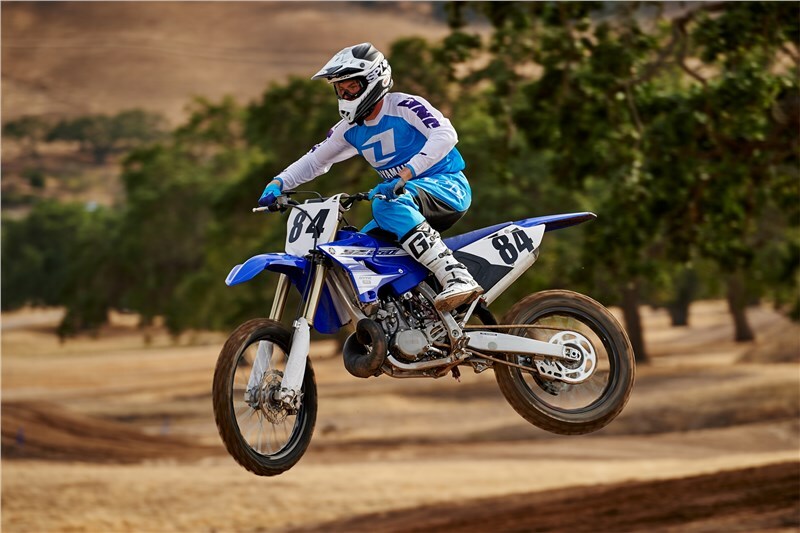 Rear, fully adjustable KYB® shock features reduced-friction Kashima Coat™ internals, 12.4 inches of travel, separate adjusters for high- and low-speed compression damping, and a full lock oil rebound system for increased comfort. 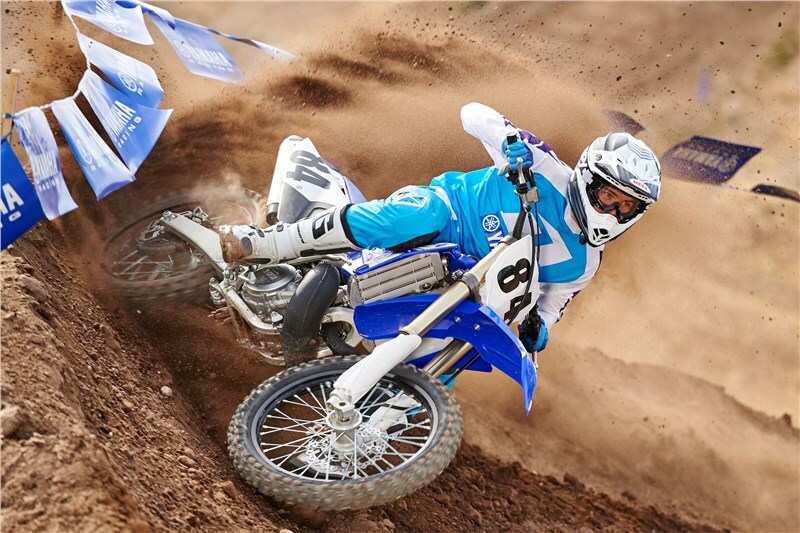 All adding up to fantastic rear wheel control and a sweet ride. 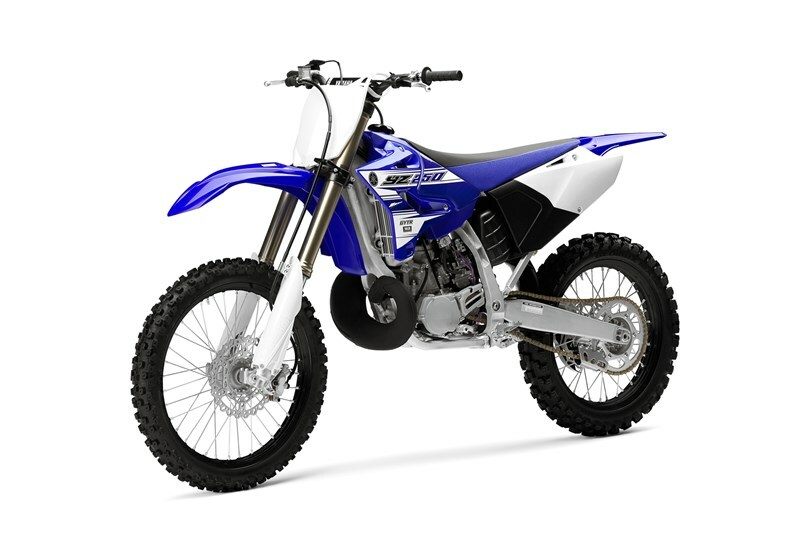 Special-design "gripper" type seat and fuel tank aluminum handlebars in an adjustable top clamp create greater freedom of movement and more comfortable ergonomics for riders. 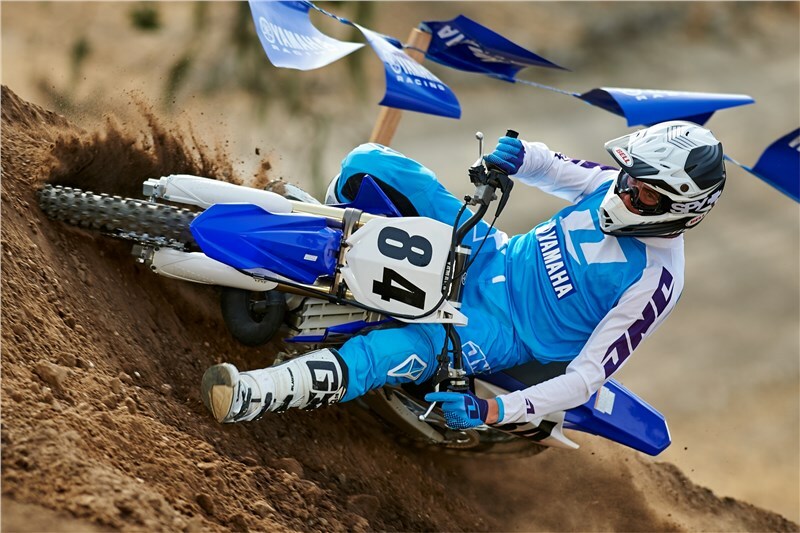 Wide, cleated, folding foot pegs are lightweight and provide excellent comfort, grip and ground clearance.